Adjusting lights and shades from a smart phone has never been easier, more reliable, or affordable. The Lutron Smart Bridge allows for setup, control, and monitoring of Caseta Wireless dimmers and Serena Remote Controlled Shades from a smartphone or tablet. Use the Lutron Smart Bridge and application to control lights and shades from anywhere, schedule them to adjust automatically based on the time of day, or create your favorite scenes that adjust multiple lights and shades with the press of a button. Caseta Wireless Smart Bridge, White Adjusting lights and shades from a smart phone has never been easier, more reliable, or affordable. The Lutron Smart Bridge allows for setup, control, and monitoring of Caseta Wireless dimmers and Serena Remote Controlled Shades from a smartphone or tablet. Use the Lutron Smart Bridge and application to control lights and shades from anywhere, schedule them to adjust automatically based on the time of day, or create your favorite scenes that adjust multiple lights and shades with the press of a button. 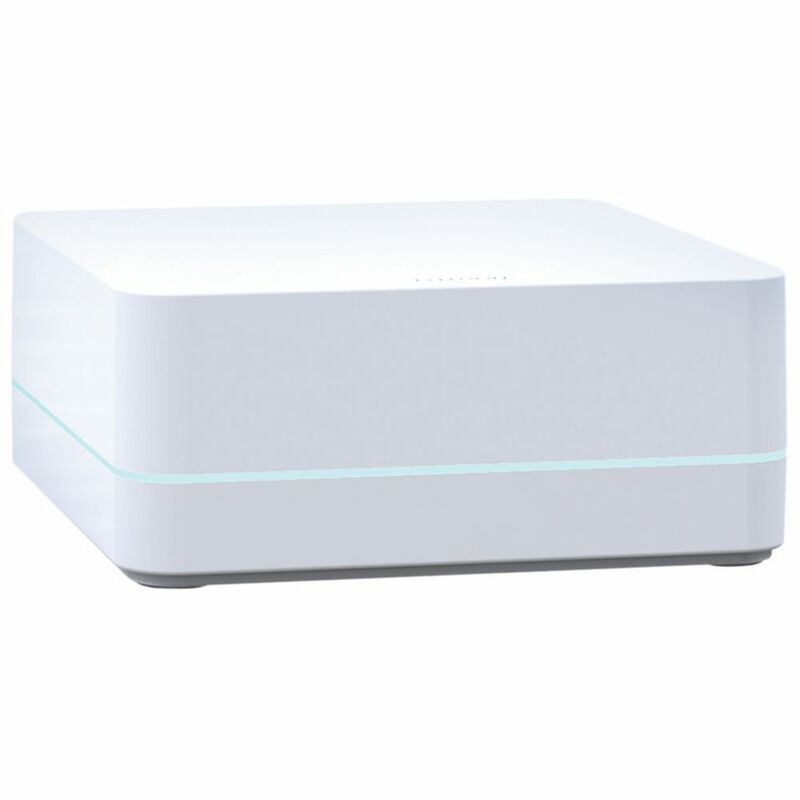 Caseta Wireless Smart Bridge, White is rated 4.0 out of 5 by 2. Rated 5 out of 5 by FYP008 from Overall Great Product The reason I use Lutron Caseta is not for home automation nor a mood light control but for convenience. 1. I don't need to pay a Contractor to fish a line for a 3 way switch or 4 way switch. ie. I bought 6 in-wall dimmer with pico controls that I can do many 3 or 4 way light switch but at a fraction of the cost to do it by fishing lines! 2. I want a main light switch at door. ie. I can turn off all lights before I head out or I come in. So, my wife no need to tell me to go upstair to turn off the light that she forgets to turn off. Now for the Smart Bridge, unlike the other hub, it works perfectly. Don't worry that it erased what you program manually. Once you get the bridge and the app. You first program the in-wall dimmer, then the pico control. Then, it will prompt you what do you want that specific pico remote to control what device (up to 10 per pico control). Very Very easy to program and pair! Distance is over 30 feet as well. On the app, it will show the current status of the device, ON/OFF. And it also has a scene set! Anyway, for $119 is more expensive than the other but its easy to setup and easy to use, I think it worth it. Rated 3 out of 5 by Chrisz from Effective but limited automation Good device and easy to configure. Automation programming is basic but will meet most people's needs. Unfortunately a switch can only be controlled by one controller at a time so a switch can not use both the Smart Bridge and say a Wink Hub (which has better automation but no Harmony integration). This Smart Bridge is compatible with the Harmony Home Hub. Mine works fine and it is the non-pro version. Range is actually much better than I expected. I have an old and large house (~5000sqft, 3Fl+Basmt) with lots of brick, stone, plaster/lath, thick walls and I can reach every switch with the controller even out to the garage. It is spec'ed to 30' through walls and 60' in the clear. I would say 30' is conservative in most situations based on my experience.